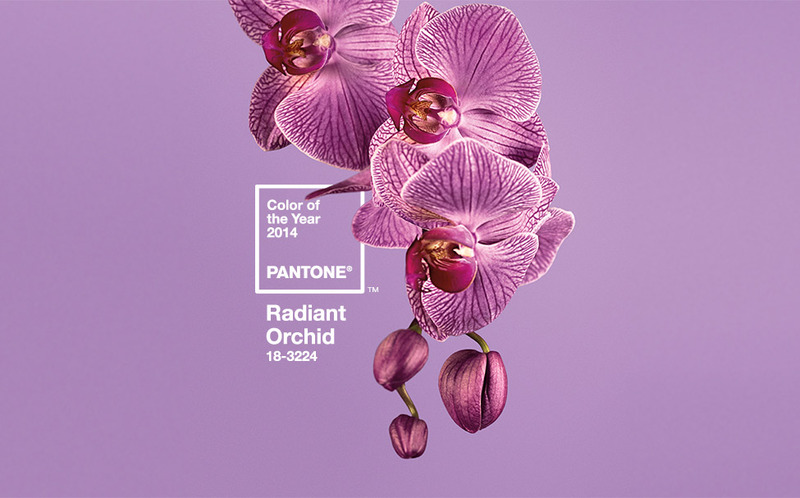 If you can’t live without Radiant Orchid, it looks quite beautiful with white. I say: if a color can do all that, then go for it! 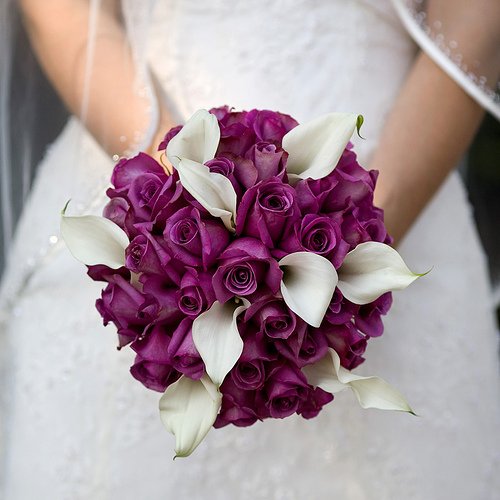 Various shades of purple have been in vogue as a wedding color for the last several years and I, personally, have been hoping we’d see less purple and more … well, anything. If purple is your choice, then so be it, but I hope brides won’t be influenced to veer from their first instinct by Pantone’s pronouncement. There are so many beautiful options…an entire spectrum of them, actually. So, consider your location, the season, theme of your day, time of the wedding, and what your favorite colors are. Personally, I’m a big fan of neutrals, and here’s why: From the invitations (with white type) to bridesmaids’ dresses, all shades of these colors (and shades of taupe and gray seem to work particularly well) will look timeless and elegant. And, you’ll never cringe when you look back at your photos. Then you can invite other colors to the party via the florals and décor. So much nicer than everything matchy-matchy. I think pale pink (or blush) and ivory go beautifully with taupe and/or grey. Add a grey-ish green touch as well, perhaps in the bouquets. And please don’t go crazy with your linen colors. If you’re going for understated elegance, stick with neutrals. If your wedding is at one of Laguna’s beautiful view properties, do consider that the color of the ocean actually becomes one of your wedding colors. 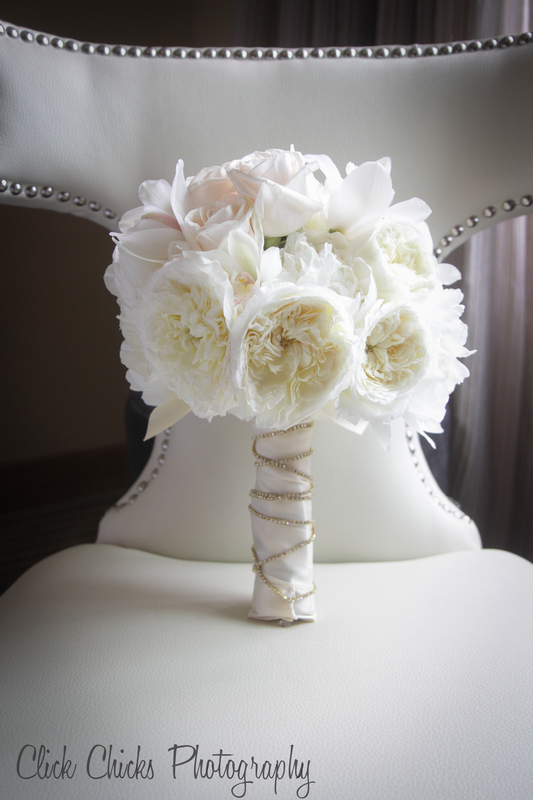 A gorgeous neutral bouquet created by the talented English Garden. You can drive yourself crazy deciding what the trendy looks are and staying ahead of the color curve as you plan your wedding months in advance. Mint, coral, navy, moss, turquoise. It doesn’t stop. When you start dreaming about colors, take a step back and think “neutral.” That said, if you’re having a hippie-themed wedding in the woods, ignore all the foregoing and just go for it, you wild thing, you! To put all of the above in perspective (in case you’ve been out of the color loop), 2013’s color was Emerald. Dear Mr. Pantone: Didn’t happen. Better luck with Radiant Orchid. We think your picker might be broken. Sincerely, Click Chicks Photography.